Gran Hotel Bolivar Lima i Lima, Peru: Reservér nu! We are a business with 95 years of hotel experience in the middle based, in the principles of tradition, elegance and distinction. The Gran Hotel Bolivar -Lima has an exceptional and historic location, in the heart of the shopping center and cultural, al front of the famous Plaza San Martin. To 20 minutes of the International airport Jorge Chavez and to 15 minutes of the residential and commercial district of Miraflores, to 20 minutes of the beaches and of the port of the Callao. 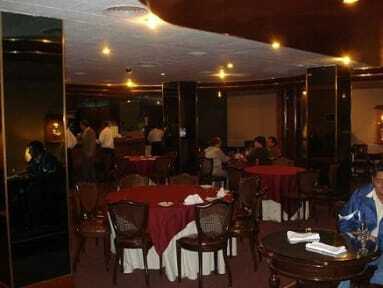 Our Hotel counts on a strategic location, near all the but important historic monuments. 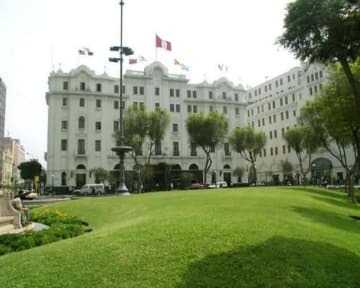 They are very few the large hotels of the world that are able been prided of to have been built especially to lodge Presidents and high dignitaries of government as The Gran Hotel Bolivar -Lima.